Hello my dear followers! 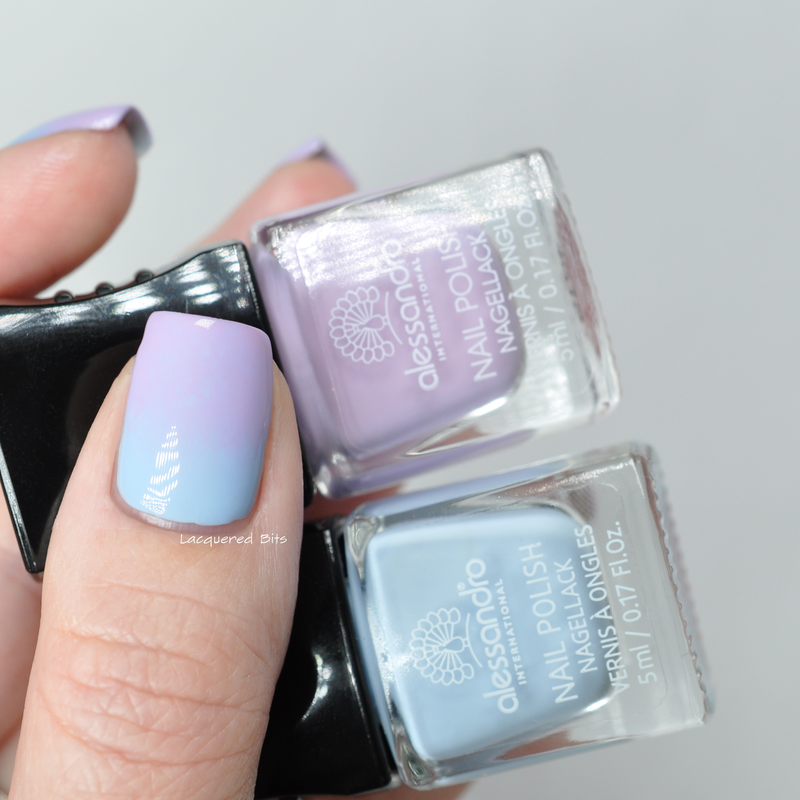 Today I have two polishes from Alessandro Spring 2016 Collection* called Cosmic Chic to show you. And I must tell you that Ekozmetika nailed it when they sent me these two shades, as they are my favourite of the collection. And I was searching for some pastels to get in to the proper spring mood, so yes, perfect! 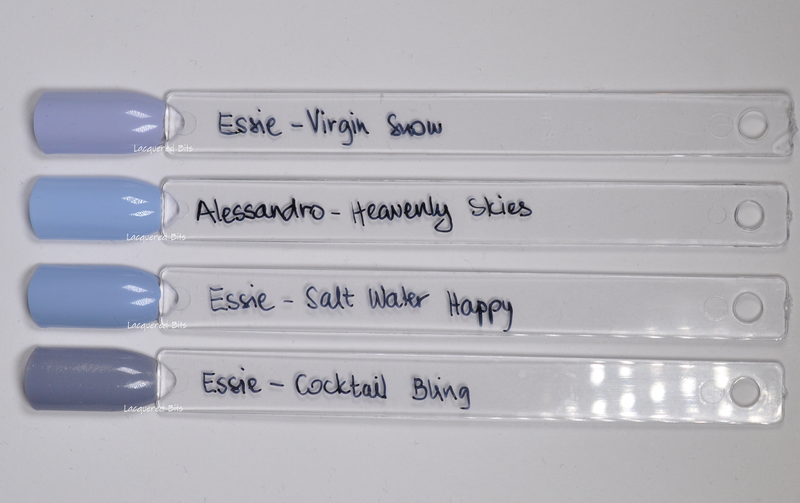 The collection also consists of shades Electric Blue (a reflective blue with a turquoise-purple finish), Rocket Man (an elegant taupe) and Cosmic Pink (a brilliant pink). 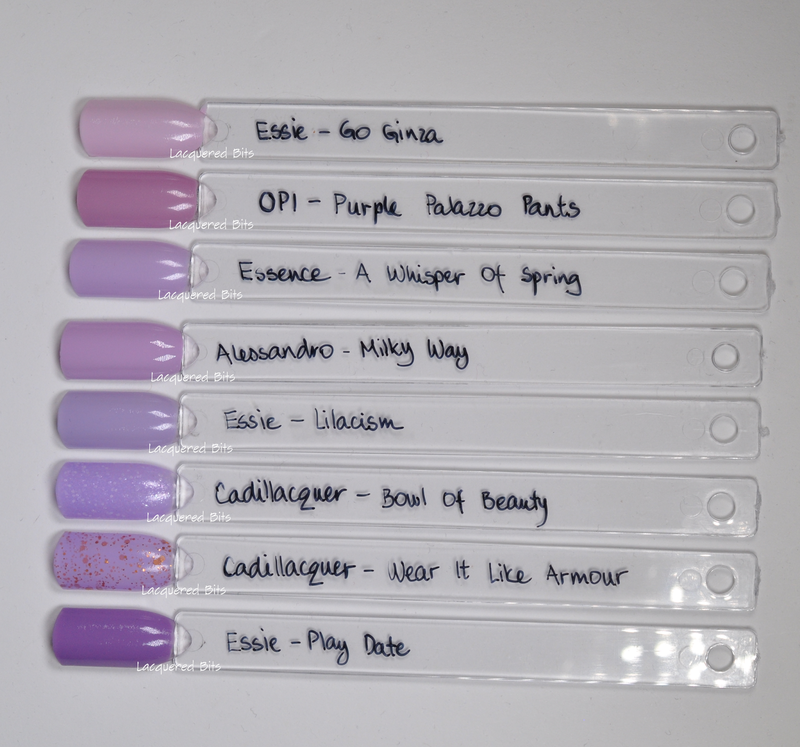 But let’s get to the polishes I swatched. They are both gorgeous and perfect for the spring. It’s an elegant pastel lilac/lavender. It’s got a creme finish and it needs two coats to reach full opacity. 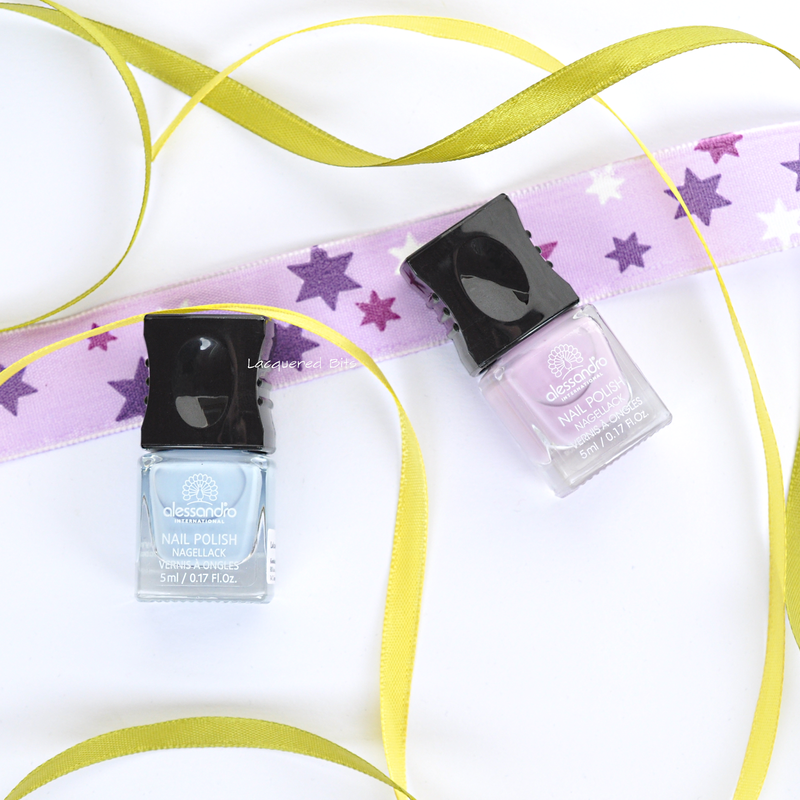 The formula is a better version of an usual formula of light pastel polishes. It is a bit tricky to apply, but if you do a normal first and a lumpy second coat, you get what you see in my photos, beautifully polished nails. And this is with no top coat. Gorgeous and perfect is what you see in macro :). And some comparisons. As you can see I have no dupes for Milky Way. Look at that pale blue, it’s like a bright sky on a sunny spring day. And again with no top coat. This one also needs two coats for full opacity and again first normal coat and the second lumpy. But I think there is a slight difference between the formulas of these two polishes, I think this one is a bit jelly, but just a bit and it’s what makes it a bit easier to apply. I keep repeating myself, but again, perfect for spring! And again no dupes, although Salt Water Happy looks close, but is a bit darker. And of course I had to make some nail art with these two, because they go so well together. And here it is. Just some gradient made with sponging. What are your colour choices for the upcoming spring? Mine are all sorts, but the ones that I like the most are the pastels.